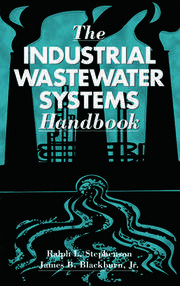 Introduction: Biofouling/Biocorrosion in Industrial Water Systems (G.G. Geesey). Biofilm Structure and Function: Structure of Biofilms (J.W. Costerton). Analysis of Bacterial Behavior during Biofouling of Surfaces (K.C. Marshall). Metabolic Interactions and Environmental Microniches: Implications for the Modeling of Biofilm Processess (W.A. Hamilton). Modeling of Mixed-Population Biofilm Accumulation (O. Wanner). Biofouling: Effects and Extent of Biofilm Accumulation in Membrane Systems (H.-C. Flemming, G. Schaule, R. McDonogh, and H. Ridgway). Coliform Regrowth and Biofilm Accumulation in Drinking Water Systems: A Review (A. Camper). Effect of Mixed Sulfate-Reducing Bacterial Communities on Coatings (J. Jones-Meehan, M. Walch, B.J. Little, R.I. Ray, and F.B. Mansfeld). On-Line Side-Stream Monitoring of Biofouling (F.L. Roe, E.J. Wentland, N. Zelver, B.K. Warwood, R. Waters, and W.G. Characklis). Analysis of Biofilm Disinfection by Monochloramine and Free Chlorine (T. Griebe, C.-I. Chen, R. Srinivasan, and P.S. Stewart). Effects of Disinfection on Attachment Strength of Bacteria on PVC (F. Lage-Filho and S.W. Hermanowicz). Biocorrosion: Dissolved Oxygen Gradients Near Microbially Colonized Surfaces (Z. Lewandowski). Anaerobic SRB Biofilms in Industrial Water Systems: A Process Analysis (S. Okabe, W.L. Jones, W. Lee, and W.G. Characklis). Microbial Corrosion of Mild Steel in a Biofilm System (W. Lee, Z. Lewandowski, W.G. Characklis, and P.H. Nielsen). 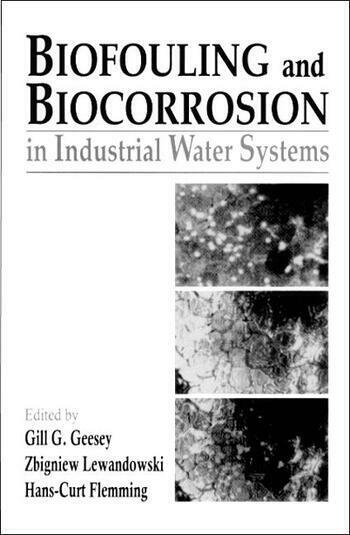 Indicators of Sulfate-Reducing Bacteria in Microbiologically Influenced Corrosion (B. Little and P.A. Wagner). 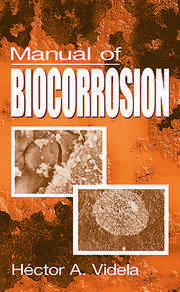 Biocorrosion of Nonferrous Metal Surfaces (H.A. Videla). Unusual Types of Pitting Corrosion of Copper Tubes in Potable Water Systems (G.G. Geesey, P.J. 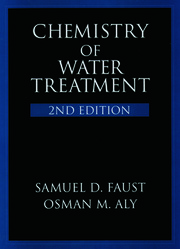 Bremer, W.R. Fischer, D. Wagner, C.W. Keevil, J. Walker, A.H.L. Chamberlain, and P. Angell). Development of Electrochemical Test Methods for the Study of Localized Corrosion Phenomena in Biocorrosion (F.B. Mansfeld and H. Xiao).